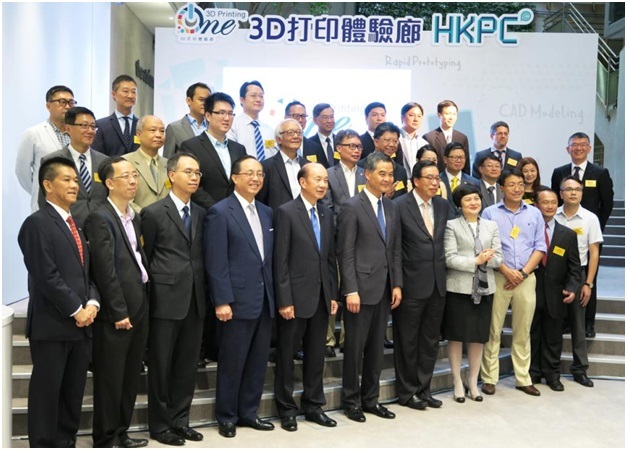 As one of the key supporters, Print-Rite, developer of the 3D printer brand CoLiDo, was invited to the Opening Ceremony of 3D Printing One, the first 3D printing centre in Hong Kong, on 18 Aug 2015 hosted by Hong Kong Productivity Council (HKPC). 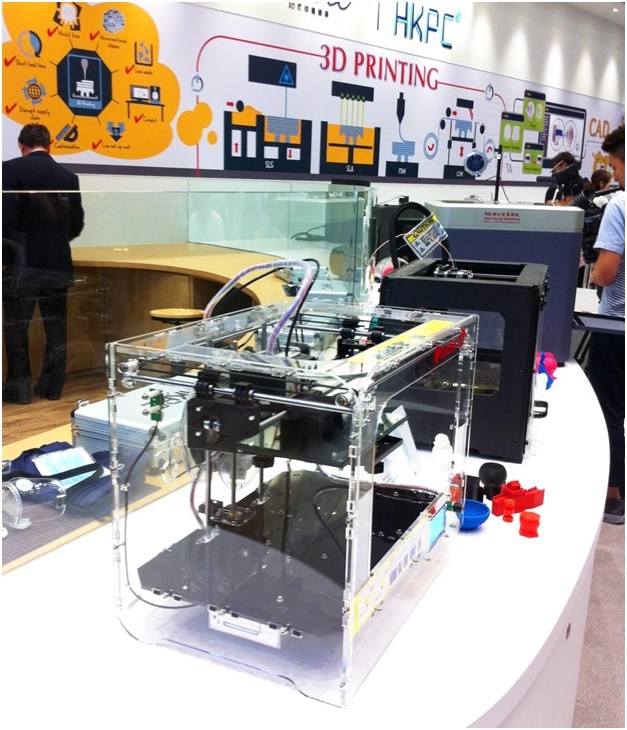 Setup by HKPC, 3D Printing One is the first one-stop 3D printing support centre in Hong Kong, which aims to promote the understanding and adoption of 3D printing technology to different industry sectors, enterprises, professionals, education bodies and to the general public. 3D Printing One features all around 3D printing solutions and a wide range of 3D printing equipment, software, and facilities, from elementary to professional level. Together with technical support and professional training, visitors can experience an end-to-end 3D printing process under one roof. 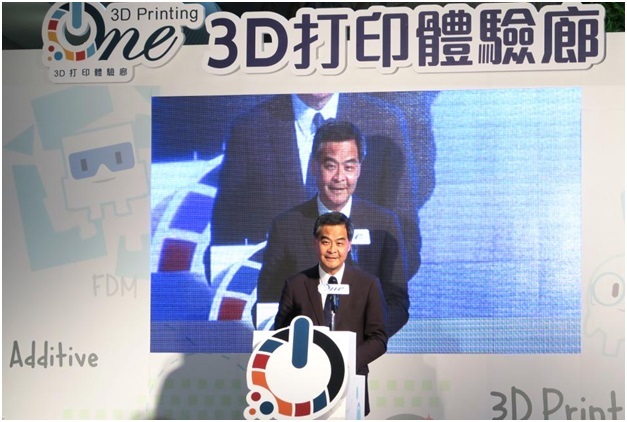 As a pioneer of 3D printing in Hong Kong, Print-Rite has supported the setup of 3D Printing One from the beginning. Print-Rite believes innovation is vital for future development of a society. 3D printing can enhance innovation within society since the technology can help create objects we can’t build from traditional manufacturing methods. Print-Rite fully agrees with 3D Printing One’s aims and thus sponsors the centre with 3D printers, filaments and technical services. 3D Printing One currently displays 17 3D printers, 2 of which are CoLiDo 3D printers – Industrial level 3D printer CoLiDo X3045 and home use 3D printer CoLiDo 2.0+. Print-Rite’s CoLiDo 3D printers use patented a glass platform to allow quick, clean and easy removal of printouts, making 3D printing easier than ever. CoLiDo is the best 3D printer brand to let both industrial and home users to adopt 3D printing technology. With the long term cooperation between Print-Rite, HKPC and 3D Printing One, we believe we can let all Hong Kong people understand and apply 3D printing in their work as well as daily lives, and ultimately boost innovation and create a better future. Opening address by The Hon CY Leung, GBM, GBS, JP, Chief Executive of Hong Kong S.A.R. Hong Kong Productivity Council (HKPC) is a multi-disciplinary organization established by Statute in 1967. Its mission is to promote productivity excellence through the provision of integrated support across the value chain of Hong Kong firms, in order to achieve a more effective utilization of resources, to enhance the value-added content of products and services, and to increase international competitiveness. For more information, please visit the HKPC website at www.hkpc.org. Print-Rite is a global leader in premium grade and world-class quality printer cartridges, 3D printers and filaments, providing over 10,000 ink and toner cartridge products for commercial customers, resellers and consumers worldwide. Headquartered in Hong Kong, Print-Rite has its own major manufacturing facilities in Zhuhai, Shanghai and its global distribution network worldwide. For more information about Print-Rite products and company information, please visit website www.print-rite.com.